Welcome to the homepage of the Palm Society of Southern California. "Palms have no color?"... "Who says?"... This Chambeyronia hookeri doesn't seem to know that. The PSSC is a non-profit corporation formed and existing under the laws of the State of California. Our mission is to promote the cultivation, enjoyment and conservation of the plant family known as Palmae to the botanists, and palms to everyone else. Member Paul Denton and his magnificent Bismarckia nobilis in San Diego. Though most of its members are in Southern California, the PSSC has members worldwide. We have members in Northern California, Texas, Virginia, Florida, and Hawaii in the United States, plus Canada, Mexico, England and Australia. Our members appreciate the shared joy of growing palms (as well as other plants) in gardens ranging from city lots to multi-acre estates. Our members include students, truck drivers, doctors, business people, and many more. Sherman Library and Garden features a beautiful collection of plants. 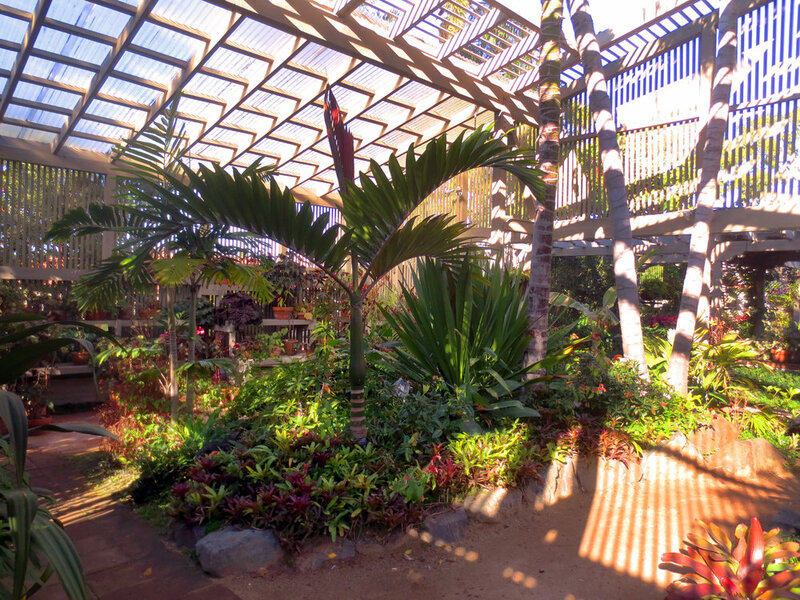 From beautiful rare palms and tropical foliage to drought tolerant succulents and cacti. Truly a must see for inspirational place! We hope you join us. Click on the PSSC MEMBERSHIP button on the left, and see how easy it is. If you have any questions, you can write or e-mail the people listed under CONTACTS. This picture of Cyrtostachys renda was taken in Thailand by PSSC member Jack Sayers.